It is already known that the second book in The Fitz and the Fool Trilogy is called Fool's Quest. Now we don't only have the title but also the official cover art and synopsis. The cover art was once again made by Alejandro Colucci, who also made the matching cover arts for the redesigned The Farseer Trilogy books and the first book in the The Fitz and the Fool Trilogy, Fool's Assassin. The high fantasy genre is having a rage of upcoming books that are surely a hit among fans and new comers. There are a lot to expect this year: Brandon Sanderson, Mark Lawrence, Joe Abercrombie, and many more. And of course this one from one of the powerful female writer of this generation. This makes our reading list this year a fantastic one, indeed. Check out the new cover of Fool's Quest, courtesy of Alejandro Colucci. Ranking alongside George R. R. Martin as a groundbreaking master of fantasy, New York Times bestselling author Robin Hobb delivers the second book in her long-awaited Fitz and the Fool trilogy. After a devastating confrontation, FitzChivalry Farseer is out for blood—and who better to wreak havoc than a highly trained former royal assassin? 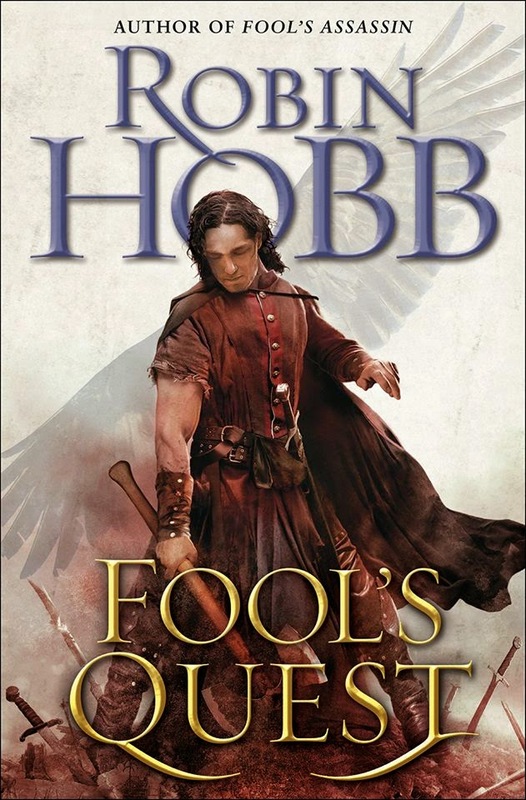 Fool's Quest by Robin Hobb will be released on August 11, 2015.